While the new format brings certain clarity, it raises certain fundamental questions regarding the components of India’s defence budget. As per the earlier format, the last six Demands (no. 22 to 27) constituted what is commonly referred to as India’s defence budget (the Demand nos. 20 and 21 were part of the Defence (Civil Estimates) and kept outside the defence budget). With the merger of some of the organisations with the new Demand no. 20, it seems logical to include the merged demand for the purpose of estimating India’s defence budget. This would leave defence pension as the only Demand to stay outside the defence budget. However, keeping the defence pension outside the defence budget has not served any purpose. Bringing it under the purview of defence budget would provide the true picture of defence burden and subject it to the same degree of scrutiny as other elements of the defence budget. Suffice to mention that pension was part of the defence budget till 1987-88, when it was taken out and put under the Defence (Civil Estimates), apparently due to the pressure from the international financial institutions. What he lacked in experience Narendra Modi has more than made up for with zeal and personality. From China to the diaspora, America to the immediate neighbourhood, visible in the foreign policy narrative and discourse is a greater determination to get things done, and an emphasis on the bigger and better. Does the leadership of Prime Minister Narendra Modi mark a significant watershed in India’s foreign policy? Classically defined, the foreign policy of a country is the product of both geography and history. Changes in leadership or government do not essentially alter its basic and underlying premises. What Mr. Modi has done is to bring the stamp of his zeal and personality to impact well-entrenched policies, imparting more determination to the process. But the shadows of history and geopolitics are omnipresent. Mr. Modi’s challenge is to ensure that his country can be a great democracy and also a substantive global power. His task is to align these twin goals to reinforce the idea of India. Outcomes must ensure both power for the country and happiness for its people. Translated into the language of Kautilya, power embodies strength, the power of leadership, the state of the economy and the military, the ability to deploy national strength for national aims. Happiness would signify that which is attained by the effective and wise use of power: righteousness and internal stability. Like leaders before him, Mr. Modi wants India to be a peaceful and prosperous country. And, he has been dealt a respectable hand: the political legitimacy of durable democracy, the country’s ability to manage the deep and extensive pluralism of its society, the geographical advantage of its positioning in the Indian Ocean, its scientific and technological capital, a reputation for responsible behaviour, andgrowing international recognition of India’s credentials to be a leading global player. Unlike many of his predecessors, Mr. Modi does not come to the arena of foreign policy with decades of exposure through parliamentary experience or extensive cosmopolitan, global interaction. Yet, his gift of communication skills, his grasp of strategically targeted image-building, and his innate assertiveness, combine to make for an impressive effect. In Kautilyan terms, he is the vijigishu, the ambitious king or leader. His outreach to leaders in the subcontinent, to attend his assumption of office, was an embrace of risk and openness to fresh solutions. The image of a rare South Asian conclave captured the imagination of a global audience, the intended target. Serendipitously, a more holistic appreciation of the logic of South Asia as an integer, a space unified by history and geography but torn asunder by contemporary political and cartographic divisions, was made evident. The hope for a more interconnected and integrated future was offered. ** Why did Pakistan admit to hosting the Afghan Taliban? The Pakistani prime minister's adviser on foreign affairs has indicated in a talk at Washington's Council on Foreign Relations (CFR) that the leadership of Afghan Taliban is living in Pakistan. For many such a disclosure has been an open secret for years, but one which Pakistan's powerful military refrained from talking about. 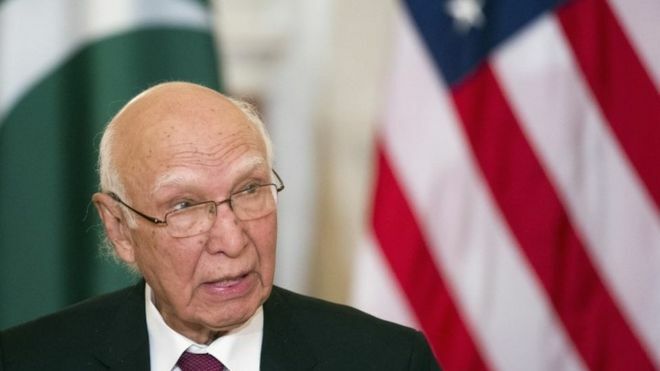 Answering a question about the extent to which Pakistan could encourage or pressure the Taliban to negotiate peace with Kabul, Sartaj Aziz said: "We have some influence on them because their leadership is in Pakistan, and they get some medical facilities, their families are here. So we can use those levers to pressurise them to say, 'come to the table'." "It is for the Afghan Taliban and the Afghan government to negotiate," he said. His comments are seen by analysts as the most candid admission ever by a Pakistani official that Afghan insurgents enjoy sanctuary in Pakistan. In the past, Pakistan has denied it had any influence over the Taliban, or that they had any havens on Pakistani soil except in the semi-autonomous tribal region on the border with Afghanistan. Mr Aziz's remarks come in the wake of a 20-month military operation in the area, which the Pakistani army says has cleared the country of all militant strongholds. How will it affect talks with the Taliban? Mr Aziz was in Washington this week to lead his team in the sixth round of US-Pakistan strategic dialogue, which included exchanges over peace in Afghanistan and the role Pakistan could play in bringing the Taliban to the dialogue table. Since December, Pakistan has been a member of a quadrilateral co-ordination group which also includes Afghanistan, the US and China. During the past two months, the group has held four meetings to develop a roadmap for Afghan peace negotiations. During his talk at CFR, Mr Aziz indicated that a meeting between Taliban and the Afghan government may take place in the coming 10-15 days. What has been the response in Pakistan? Pakistan's foreign office has taken a cautious view of the matter. On Thursday, a foreign office spokesman declined to offer any reaction to Mr Aziz's remarks, saying "we do not make any comment on [political leaders' statements]. He [Mr Aziz] has said what he had to say". But for most Pakistan-watchers around the world, his remarks do not come as a surprise. What evidence is there that the Afghan Taliban are in Pakistan? Pakistan has long been accused by international circles of protecting the Afghan Taliban so as to use them as a proxies in Afghanistan with an aim to curtail Indian influence in its western neighbourhood. Rafael of Israel and Kalyani group are setting up a joint venture (JV), Kalyani Rafael Advanced Systems, to build weapon systems in India. It could start with the production of Spike Anti-Tank Guided Missile (ATGM) which the Indian Army is in the process of procuring. However the final deal for Spike is yet to be cleared and contract negotiations are currently underway. The deal which was cleared in 2014 ran into trouble but informed sources said that the issues have been sorted and negotiations will be completed soon without giving a time frame. Sources said the deal is on the top of the agenda during Prime Minister Narendra Modi’s visit to Israel later this year. Under a tripartite agreement the JV is expected to manufacture sub-assemblies and Bharat Dynamics Limited (BDL) will do electro optics and do hot integration at its Hyderabad facility which currently manufactures French Milan ATGMs. The work on the facility has already commenced. It is all about when the final contract is signed, according to a source. As reported by The Hindu earlier the unit will be set up in the hardware technology park in Hyderabad. Conforming to Foreign Direct Investment (FDI) norms in defence the Kalyani group will hold 51 percent stake with Rafael holding the rest. “The initiative is in line with the government’s ‘Make in India’ policy and will enable the development and production of high end technology systems within the country,” Rafael said in a statement. The Rs.3,200 crore deal for the ATGMs was cleared in 2014 by the Defence Acquisition Council chaired by Defence Minister Arun Jaitley which put an end to uncertainty after the U.S. offer of joint production of Javelin missiles. The deal includes 8,000 plus missiles, 300 plus launchers and requisite technology transfer to the Indian entity which was initially supposed to be BDL. Spike is a third generation, fire and forget anti-tank missile. With the launching of the US led ‘war on terror’ in Afghanistan, Taliban was forced into a state of disarray. A regime that had managed to control as much as 90% of Afghanistan’s territory, and that too for a period as long as five years, the battery of attacks by the US, followed by the NATO invasion, attempted to wipe out Taliban hideouts and military hubs from the treacherous swathes of Afghanistan’s territory. The cohesive force of Taliban was strewn along with their Arab financers such as the Al-Qaida main operatives and its varied sympathizers and adherents. The constant aerial strikes and ground raids by US forces made it difficult for foreign and Taliban fighters to secure their bases inside Afghanistan to reestablish their network. In December 2001, al-Qaeda and Taliban forces in Afghanistan were defeated in the battle of Tora Bora and the survivors belonging to these two outfits were compelled to flee to the tribal region across the Durand Line (the disputed frontier between Afghanistan and Pakistan) into Pakistan, places from where they had originally emanated. Many more were to flee into the region of South Waziristan after the launching of Operation Anaconda, and so they did. Secured in territories that were not being rained with bullets and missiles from the sky – at least not in the beginning of the war on terror- those who had managed to escape to the tribal regions of Pakistan, found an opportunity to revive their battled frigates. They rebuild their central command there, particularly in a remote part of South Waziristan known as the Shakai Valley. The dispersed force of Taliban was once again restructured in tribal regions across the Durand Line; in the rugged mountainous and harsh geographical region of South Waziristan. A region that has not seen much development and suffers from the absence of basic modern infrastructure such as roads, schools and the like, South Waziristan once again played host to a band of men who had perpetrated its archaic and parochial wrath on the people of Afghanistan for more than five years. The arrival of ‘Talibanism’, Taliban’s ideology, to Waziristan was well embraced by the local religious and unemployed populace and the number of sympathizers increased in the ranks of Taliban fighters. 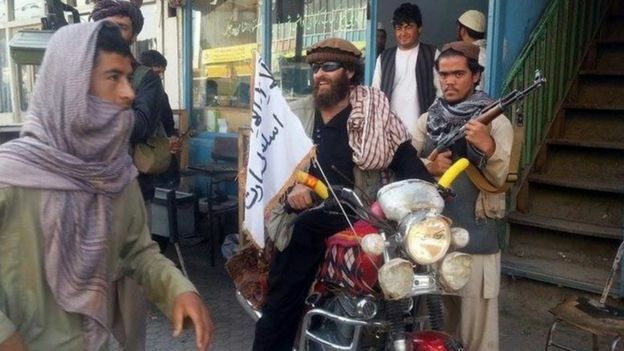 Taliban led a broader campaign to locally recruit religious students from madrassas and as well young volunteers who were prepared to join their jihadi caravans and fight against US Coalition and Afghan security forces in Afghanistan. Is Poppy Production Really Down in Afghanistan? Maybe, maybe not. The good news in Afghanistan is that for the first time since 2009, the area estimated by the United Nations Office on Drugs and Crime (UNODC) to be used in illicit opium poppy cultivation has decreased. 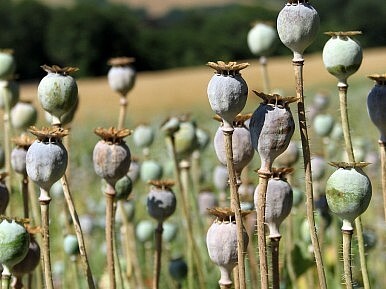 As noted in a report released Wednesday by the UN International Narcotics Control Board (INCB), despite the fact that the area estimated to be used for opium poppy has decreased from 224,000 hectares in 2014 to 183,000 hectares in 2015, “the level of illicit opium cultivation in Afghanistan continues to be high in absolute terms.” Even though estimated potential opium production fell 48 percent in comparison to last year’s estimates, it still rests at 3,330 metric tons (or 7.3 million pounds). Although this development is potentially significant for the drug control situation in the region, the reasons behind it are complex: a water shortage during the reporting period affected the opium yield; Government-led eradication efforts increased in the past years; and the estimation methodology has been improved, which makes comparison less straightforward. In the UNODC’s annual Afghanistan Opium Survey 2015, the authors stress that “Caution is needed when interpreting these results: between 2014 and 2015, the availability of improved technology led to a major improvement in the methodology used to estimate area under poppy cultivation.” The note of caution continues on to highlight that further research confirms the directionality (the decrease), but the extent of the change may still appear greater than it actually was. KARACHI, Pakistan (AP) — Trying to lure him into the Islamic State group, the would-be recruiter told Pakistani journalist Hasan Abdullah, "Brother, you could be such an asset to the Ummah"— the Islamic community. Abdullah replied that he was enjoying life and had no plans to join the jihadis. "The enjoyment of this life is short-lived. You should work for the Akhira" — the Afterlife, the recruiter pressed. His encounter was a sign of how the Islamic State group is looking for sophisticated skills as it builds its foothold in new territory: Pakistan. It is courting university students, doctors, lawyers, journalists and businessmen, and using women's groups for fundraising. It is also wading into fierce competition with the country's numerous other militant groups, particularly the Pakistani Taliban and al-Qaida in the Subcontinent, the new branch created by the veteran terror network. Here in Karachi, Pakistan's largest city, IS loyalists have set up their strongest presence, carrying out multiple attacks in the past year and setting up networks. The port city of some 20 million people on the Arabian Sea has always been a favorite for militants to operate. Wealthy districts running on the city's profitable commerce hold potential for fundraising, while the crowded, cramped poorer districts that have spread around the city provide recruits and places to hide. It also gives recruiters links to other parts of the country, since its population is full of people who have migrated from tribal regions or Afghanistan, looking for work. The Karachi police's top counterterrorism official, Raja Umer Khitab, warns that IS has great potential to grow in Pakistan, not only because of its large reservoir of Sunni extremists but also because of the virulent anti-Shiite sentiment among their ranks. Hatred of Shiites and attacks against them are a keystone of the Islamic State group's ideology and one source of its appeal among some hard-line Sunnis as it set up its self-declared "caliphate" in Iraq and Syria. IS first announced its presence in Pakistan with a bloody attack in May in Karachi in which gunmen boarded a bus carrying Shiites, ordered them to bow their heads, then opened fire, killing 45. The gunmen left behind a tattered piece of paper proclaiming, "Beware ... We have entered the battlefield for retribution and the implementation of Shariah." North Korea conducted its fourth nuclear test way back in January 6, and the very next day the US and China began negotiating over what to do about it. 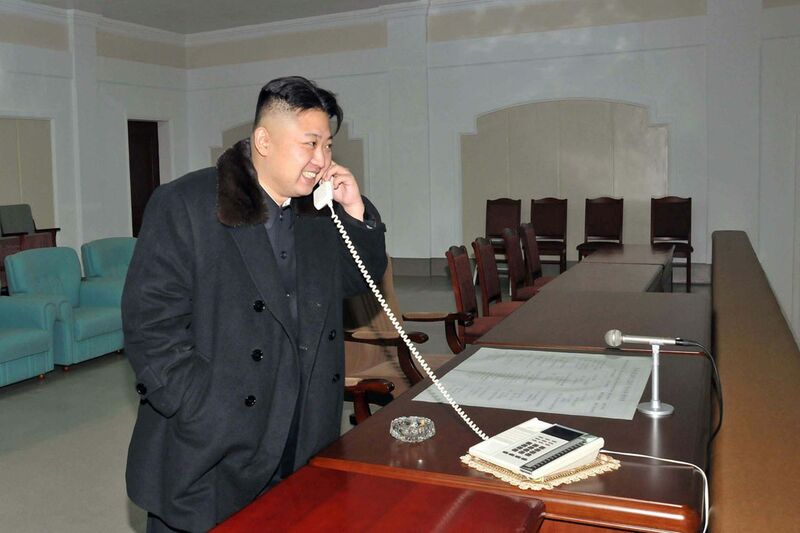 China is North Korea's protector and sole ally, so expectations were low. But this Wednesday, two months later, the UN Security Council unanimously approved a resolution, drafted by the US and China, punishing North Korea with some of thetoughest sanctions in decades. A number of North Korean officials are sanctioned, and all cargo in and out of the country must be inspected, along with other measures. So how big of a deal is this? China is indeed getting tougher on, and less patient with, North Korea. Their alliance is under some of the greatest strain it's experienced in years, and long-term trends suggest that strain will only worsen. Nonetheless, the fundamentals of that alliance remain in force. As much as the US might like to hope there's a China–North Korea breakup coming — which would be a big deal, given that China's support enables North Korean bad behavior — there's little reason to believe this will happen. Big picture, don't expect the status quo to change. This all makes a lot more sense if you know China's longstanding policy toward North Korea, which, like many Chinese Communist Party policies, is often boiled down a very simple slogan. In this case, it's just six words: "No war, no instability, no nukes." In other words, China has three top priorities for the Korean Peninsula, and those priorities define everything. They're ranked in order, which is to say that China's top priority is to prevent war on the peninsula, its second priority is to prevent instability (for example, by way of North Korea's collapse), and third is to prevent nuclear weapons. There are compelling reasons for the U.S. to join China’s new development bank. China’s new Asian Infrastructure Investment Bank (AIIB) has been the source of considerable debate. 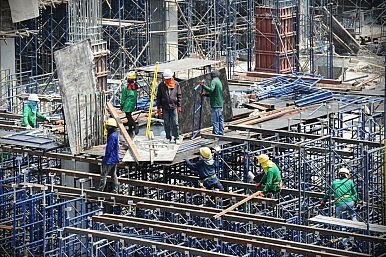 While its supporters believe the bank will fill a much needed investment gap in Asia’s economic development, its naysayers worry that China will use it to further its own economic and strategic goals in the region. They say the very structure of the AIIB allows China to use its weighted voting power to exercise a disproportionate amount of influence in the bank. Still others feel that the AIIB is unnecessary because the world has three development banks – the World Bank, the International Monetary Fund (IMF), and the Asian Development Bank (ADB) – that already deal one way or another with Asia’s development. So far the United States has been ambivalent about the AIIB, and several scholars suggest that U.S. officials harbor the same doubts about the bank. Specifically, U.S. officials and academics criticize the bank for two reasons: 1) Its voting structure gives China a disproportionate voting share, which means it can effectively manipulate the bank to further its own economic and strategic goals in the region; 2) The AIIB will not follow the same high standards as existing financial institutions when deciding which projects to fund, forgoing important criteria like environmental protection, human rights, and anti-corruption. Does the AIIB’s legal structure really give China so much power and influence? Not necessarily. External and internal pressure will cause the AIIB to act independently and give itself powers in order to safeguard its independence from China, and U.S. involvement will expedite that process. Currently, China has a poor track record in terms of following high standards when it comes to the projects it funds around the world. From oil and resource extraction projects in Cambodia, Burma, and Mongolia, torailroad and canal construction projects in Brazil, Peru, and Nicaragua, to bridge and other infrastructureprojects in Mali and Ethiopia, the Chinese Development Bank and its Export-Import Bank have given loans to unstable governments, signed construction deals for unnecessary infrastructure, and ignored villagers who have been abruptly uprooted with little compensation. U.S. officials believe that the AIIB will adopt the same low standards as China’s national banks. They point out that, since the AIIB will not have a resident staff involved in the day-to-day project oversight, the bank could not possibly ensure that its clients will follow through on high standards and transparency. It’s certainly been an interesting week in the South China Sea, with reports that China moved coast guard vessels into Jackson Shoal, driving Filipino fishermen out and effectively asserting control over that feature. China’s latest bout of assertion comes not long after it re-stationed J-11 fighters and HQ-9 surface-to-air missile systems on Woody Island, days after ASEAN leaders met with U.S. President Barack Obama in the United States. 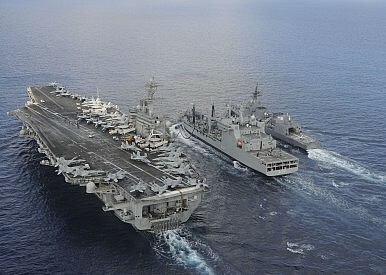 The first, reported in Reuters, notes that India, the United States, and Japan will be holding their first trilateral naval exercise in the South China Sea, off the northern coast of Philippines. While a location isn’t specified for the exercise, it is likely that it will take place either in or off Subic Bay, where the United States once had a permanent naval base and now enjoys base access rights under the 2014 Enhanced Defense Cooperation Act (EDCA) with the Philippines. Harris underlined India’s record with international law and maritime disputes to explain Washington’s interest in having New Delhi participate in the exercise: ”While some countries seek to bully smaller nations through intimidation and coercion, I note with admiration India’s example of peaceful resolution of disputes with your neighbors in the waters of the Indian Ocean,” he said. The second report, in the New York Times, cites Harris bringing up a concept in Asian security that’s been out of vogue for nearly a decade, namely the Quadrilateral Security Dialogue (QSD) between the United States, Australia, Japan, and India. In a commentary in 2014, I’d declared the QSD “gone and forgotten.” Harris’ comments suggest my eulogy may have been premature. The QSD was actually a pet project for Japanese Prime Minister Shinzo Abe during his first stint leading Japan, back in 2006-2007. He’ll be glad to see it back on the docket. Since Prime Minister Narendra Modi took office, India has ramped up naval cooperation with the United States. It reacted angrily in 2014 when a Chinese People’s Liberation Army submarine docked in the Sri Lankan port of Colombo, and has warily watched the expansion of one of PresidentXi Jinping’s priority projects, a maritime “silk road” with major ports in Gwadar, Pakistan, and Chittagong, Bangladesh. When President Obama visited India last year, the two countries issued a joint statement on “the Asia-Pacific and Indian Ocean region,” something India had refused to do in the past. January’s global stock market rout was initially triggered bymounting concerns over China’s shrinking industrial sector. But such concerns are unjustified. By now, it is clear that Beijing is doing everything in its power to rebalance its economy from industrial to service-based. In 2013, services overtook the industrial sector in both total size and pace of growth, and they now account for almost 50 percent of China’s GDP. Yet the analytical tools that we use to assess China’s performance haven’t caught up with the structural changes now under way, which means that observers can easily get China wrong. It may be a coincidence that apocalyptic American warnings that Mosul’s giant dam could imminently collapse, potentially killing 1 million Iraqis, come at the very moment when US and Iraqi forces are preparing an all-out assault on the city, the main stronghold of Islamic State (Isis) terrorists in the country. But the alarmist language employed by the US embassy in Baghdad to describe a long-standing, well-documented problem – the dam has had serious issues since it was built in 1984 – suggests concerns over the safety of Mosul’s residents are not the only calculation at work. In their dreams, US commanders tasked with vanquishing Isis might privately relish the thought of a flood of biblical proportions sweeping away the black-hearted evildoers. In a flash, the ancient lands of Mesopotamia, from contested areas north of Mosul all the way down the Tigris river valley to Baghdad, would be cleansed of the jihadist abomination. But while that is sheer fantasy, the dramatic warnings issued on Sunday sound only too real and scary. “Mosul dam faces a serious and unprecedented risk of catastrophic failure with little warning. A catastrophic breach … would result in severe loss of life, mass population displacement, and destruction of the majority of the infrastructure within the path of the projected flood wave,” the US said. The statement conjured up images of a giant tsunami-like disaster that could kill 1 million people, ruin two-thirds of Iraq’s prime agricultural croplands, destroy electricity and clean water supplies, leave cities uninhabitable for months, and turn much of the country’s population into refugees. This is the stuff Hollywood movies are made of. But what is really going on? The US admits it has no specific information indicating if or when a breach might occur. It implies that, given lack of effective, ongoing maintenance, the risk of collapse is higher than previously. But it provides no new evidence. In 2006, the US army corps of engineers called Mosul “the most dangerous dam in the world” – but that did not trigger wild talk of imminent calamity. The Fog of War that Prussian military strategist Carl von Clausewitz famously mentioned in his breakthrough book On War (1832) is visible in the Middle East. In 2011, when the Arab Spring reached Syria, most western policymakers and analysts underestimated the resilience of President Assad’s regime, mistakenly predicting a quick defeat of his forces. Their assumption was that Assad would suffer the same fate as the former Libyan leader Muammar Qaddafi and become yet another hated dictator overthrown by his people. The regime, which is based in the capital city of Damascus, has succeeded in mobilizing certain factions such as the minority Islamic sect the Alewites, Christians and urban-based Sunnis to fight for its survival. These communities do not see much of a future in a post-Assad Syria and will fight to the end. The Syrian regime has also capitalized on its long-standing relationship with the Lebanese militant group Hezbollah and Iran. As a result, Lebanese Shia fighters and Iranian Revolutionary Guards are leading the fight against the Syrian armed opposition. The Iranian security agencies have also recruited large numbers of Afghan and Pakistani Shias to fight in Syria. In short, the Syrian regime has outsourced the war to Shia allies who have huge human resources. Further support for the Assad regime comes from Russia, which is committed to keeping the president in power and sees it as a test of their credibility. This war has become a regional crisis involving great powers such as Russia and the U.S., neighboring countries—Turkey, Iran, Saudi Arabia, Jordan, Lebanon, Israel), semi-autonomous militias (Hezbollah)—and jihadi groups such as ISIS, and al-Qaeda. In a conflict with so many foreign and domestic actors peace negotiations are likely to be protracted. A partial victory seems assured for the Damascus-Moscow-Tehran axis. The Assad regime has almost reestablished control over important urban centers such as Aleppo. The opposition forces are losing ground and are demoralized. Thanks to the Russian planes and the highly experienced Shia fighters, Damascus will participate in the future negotiations with an advantage. But it will be foolish of Assad to expect a return to the previous status quo. If the principle of borders’ inviolability and territorial integrity is to be respected, the Syrian state can only survive as another Bosnia: one country on the map but in reality divided into different entities. For further reading on Syrian refugees in Jordan, see Vicky Kelberer, “Seeking Shelter in Jordan’s Cities: Housing Security and Urban Humanitarianism in the Syria Crisis,” Middle East Report Online, November 5, 2015. See also Christiane Fröhlich and Matthew Taylor, “Trapped in Refuge: The Syrian Crisis in Jordan Worsens,”Middle East Report Online, March 2, 2015. ** The View From Olympus: Can the Russians Do What We Cannot? But even with the politics removed, the U.S. military does operational art at the kindergarten level. After the First Gulf War, the U.S. Army preened and said it had shown the Russians it could now do operational art. It looked that way for a couple years, until it came out that the Republican Guard had gotten out of the Kessel largely unscathed. Frank’s “left hook” attack was classic French methodical battle, meaning it was too slow. Schwarzkopf had just one operational decision to make during the whole campaign, to switch the Schwerpunkt to McCaffrey after Frank’s fatal slowness was evident. He failed to make it. In the end, the Iraqis carried out their operational retreat better than the U.S. carried out its operational advance. Tactically, Russian tactics are easier to learn and more effective than American tactics. We know that from the Army’s National Training Center; the Soviet-model OPFOR was quite open about it when I visited there. 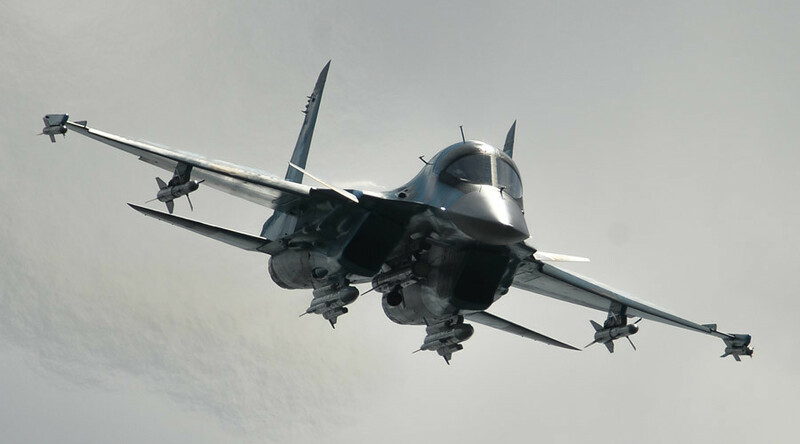 At this remove it is difficult to determine, but Russian tactical air power may also be more effective than American. The main reason is, again, that Russia is supporting an existing state, which offers an effective (by local standards) army with which Russian aircraft can work. The U.S. lacks that in Afghanistan, Iraq, and Syria, except for the Kurds. There may be another factor at work: Russia doesn’t care much about civilian casualties. In 4GW that is usually disastrous, but the Russian/Syrian offensives we are now witnessing look largely conventional. Strategically, they may be part of a Hama model approach to 4GW, which can work if it is over fast (and Russian tactics are based on speed). Tactically, Russia traditionally uses firepower massively, without regard for collateral damage, which is what they seem to be doing around Aleppo. U.S. airpower, in contrast, is used “surgically”, which means in a war of pinpricks that goes on forever. At the moral level, that may be more disadvantageous than the Hama model, which is brutal but fast. When Chancellor Angela Merkel announced in fall 2015 that Germany would adopt an open-door policy toward refugees fleeing the war in Syria, she didn't inform her Christian Democratic Union party or her coalition partners. Nor did she inform the European Commission, the EU's executive, or her neighbors-except her Austrian counterpart, Chancellor Werner Faymann. The migrants continue to pass through Turkey, reaching Greece by boat and then trying to make their way up through the Western Balkans to other EU countries, primarily Austria and Germany. This is despite the fact that the EU has offered Turkey €3 billion ($3.3 billion) to deal with the refugee crisis and has promised progress on the country's EU accession negotiations and the prospect of a visa liberalization agreement if Ankara imposes strict controls on its borders with the EU. Austria's decision to impose limits hasn't stemmed the flow of refugees and migrants either. The country's border has been only half closed. Refugees can still make their way to Germany. Above all, many of these countries now blame Merkel for her open-door policy. Because she will not impose any limits on those entering Germany, it is to Germany that most of the refugees and migrants are heading. And as the majority of refugees make their way across the Western Balkan route, the ability of the under-resourced countries in the region to cope has reached breaking point-which in turn has added more misery for those seeking safety and shelter. Given that ISIS and Al-Qaeda have more of a global focus compared with various separatist groups like ETA and the IRA, how is this reflected in recruitment strategies? They are global and universal as opposed to the much more limited pool of recruits that the IRA or ETA could summon. According to the House of Representatives Committee on Homeland Security in the report they released in October, ISIS has some 25,000 foreign fighters drawn from some 85 countries, which is a little less than half of the countries in the world. I think this is firstly because of its appeal to the Ummah [the global Muslim community], and the Sunni Muslim community as a whole, although a very small dimension of it, given the size of the worldwide population that practices Sunni Islam. I think they have been able to very effectively – more than any other terrorist group in history – seize on modern media. This includes social media in particular, but also the Internet in general as a means to attract recruits and to burnish ISIS’ credentials as the most ruthless and also seemingly the most efficient and most successful terrorist group out there. This has really set them apart from nationalist separatist groups that often really relied upon tightly knit communities and connections through friends and family. These connections also play a role with ISIS, but they are casting a much wider, international net that then has national and local components, whereas separatist groups usually just have local components that they draw upon. If ISIS is using more sophisticated social media and other digital methods, what does the subsequent counter-insurgency look like? How are governments responding to this new challenge? They’re responding poorly. The proof is in the pudding that when you have 25,000 foreign fighters, obviously counter-radicalization is having no effect, especially if you’re attracting people from 85 countries throughout the world. What they’ve done is create a very flat, expansive, and broadly appealing message, which I think has become less religious, and looking at a classic study of terrorism, has much more to do with the Frantz Fanon The Wretched of the Earth-style cathartic value of violence and the self-satisfaction of striking a blow against a more powerful oppressor. The empowerment of violence is very much a theme that they have effectively harnessed by marrying it with social media, so, they’re using an old theme but with cutting-edge 21st century technology. Arguably governments are maybe coming to grips with Internet communications and online magazines just at a time when the game was completely changed by ISIS’ reliance on and effective use of social media. To me, this is a paradox that a lot of the social media is invented in the United States in Silicon Valley, and we’re constantly caught flat-footed. What’s going to be marketed 18 months from now is already being developed by Silicon Valley, and to my knowledge, there’s no one in government that’s looking at that and trying to anticipate how terrorists might use it and harness it. So in that sense, counterinsurgency has to be very different than it was in the past, because as General Petraeus realized in Iraq, the information operations component of it is absolutely pivotal, and is where we’ve been the most remiss. I would argue that the horse is out of the barn in that we’re not going to develop the kinds of programs that are going to stop people from joining ISIS. 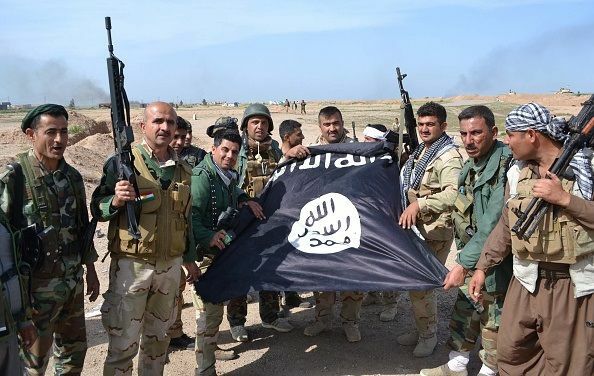 The way now to defeat ISIS is to defeat them on the battlefield, and then it will be critical to have a very robust counter-violent extremism or counter-radicalization program to prevent the rejuvenation or the regeneration of the group. The wider availability of destructive technologies has helped to narrow the gap between the strong and the weak, and thus changed the cost-benefit equation. The proliferation—and crucially, convergence—of new technologies have steadily pushed the means of destruction down the continuum from large states, to small states, to groups and now even to individuals. In a recent Cato paper, “Technologies Converge and Power Diffuses: The Evolution of Small, Smart, and Cheap Weapons,” the National Defense University’s T.X. Hammes observes that “dramatic improvements in robotics, artificial intelligence, materials, additive manufacturing (also known as 3D printing), and nanoenergetics are dramatically changing the character of conflict in all domains.” He anticipates that this technological evolution will change the way that the U.S. military fights its wars. “The proliferation of these capabilities will greatly complicate U.S. responses to various crises and will reduce our ability to influence events with military force,” he writes. Hammes takes particular note of four factors—“the loss of immunity to attack, the tactical dominance of defense, the return of mass, and a requirement to mobilize”—that, he predicts, “will have direct strategic impact on the United States.” The ability of others to raise the costs of U.S. actions, and even retaliate directly against the U.S. homeland, might cause us to think more carefully about which wars we choose to fight in the first place. Does the kinder, gentler form of warfare that the West has been pursuing over the last twenty-five years actually work? Maybe, says Anna Simons, but those who would reorient their militaries towards a predominantly “soft war” footing are making two big mistakes – they’re misreading 21st century realities and human nature. This “evergreen” article is one of many you can find in “The Best of FPRI’s Essays on National Security 2005-2015,” which appeared in September 2015 and is available here. We Americans do not yet live in a post-American world. We have not yet become the Greeks to someone else’s Rome. We retain unprecedented hard power. We have more lethal conventional force at our disposal than any country in history. One of the things that should thus increasingly puzzle taxpayers is why Washington would want to retool our military to minimize these capabilities, and instead build capabilities that won’t advantage us at all. What this article describes are several asymmetries and a handful of truisms that defense intellectuals ignore at our peril. By advocating more soft power and smarter counterinsurgency—by, essentially, pushing to outfit us for soft war—those who would re-orient our military are making two sets of errors. First, they misread 21st century realities. Second, they misread human nature. Numerous terms have been used to describe the likely contours of future war. According to most who write about the subject, adversaries know they will never be able to best us using conventional force, so the presumption is they will continue to resort to terrorism, and other unconventional, asymmetric means. In addition to more urban warfare, the future will be characterized by war among the people, or fourth generation war, hybrid war, irregular war, and insurgency. Adversaries will try to trip us up in ways that favor them, baiting us directly when they can, ensnaring us indirectly when they can’t. Washington had thus better worry both about non-state actors—the scourge of our times—as well as near-peer competitors who, if they are smart, will seek to do us harm by using non-state proxies (much as Iran has done to Israel via Hezbollah), by taking us on in realms we can’t yet and may never be able to effectively control—like cyberspace—and/or by outflanking us economically, maybe even ideologically, and certainly politically in the court of global public opinion. The FBI's much-discussed request to Apple can seem innocuous: Help us extract six weeks of encrypted data from the locked iPhone of Syed Farook, an employee of San Bernardino's health department who spearheaded an attack that killed 14 people. Most people believe Apple should comply. But the FBI is demanding a lot more than the data on a single phone. It has obtained a court order requiring Apple to build custom surveillance software for the FBI - which computer security expert Dan Guido cleverly dubs an FBiOS. In effect, the FBI is asking for Apple to write software that will provide something the government has sought without success for more than a decade: A "backdoor" that cracks the increasingly sophisticated encryption on consumers' phones. The government has previously attempted to create its own "golden key" that could unlock every device. That effort collapsed in the face of fierce objections across the political spectrum. Now, the government is pushing a private company - Apple - to create a key. What's at stake in this clash of titans, therefore, is a much larger issue: How far should tech companies go to help the government conduct surveillance of their users.